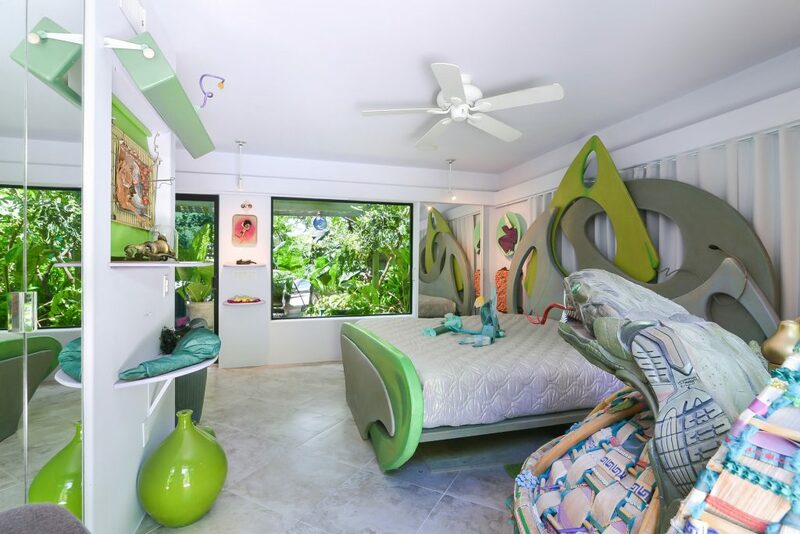 This one-of-a-kind property is the perfect for art-lovers, as the jungle-like abode features also comes with a huge array of upcycled art. 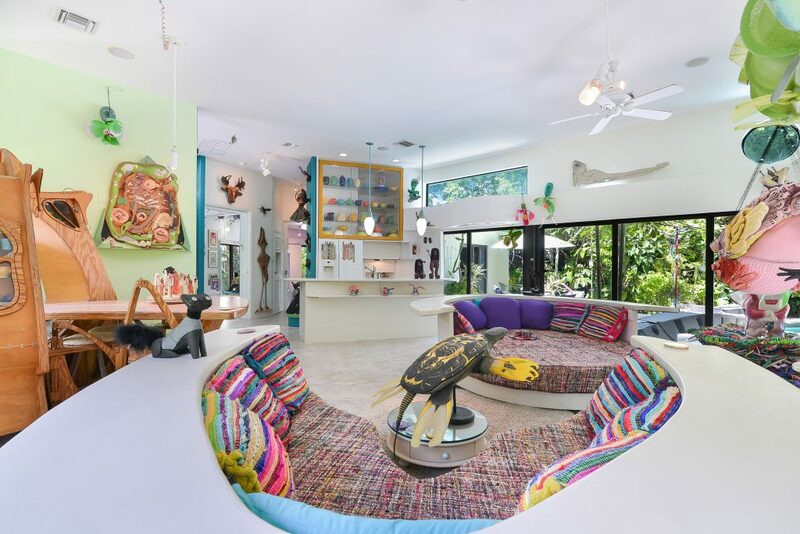 Owned by an internationally renowned multimedia artist, the home’s walls, floors, surfaces and garden are covered in masterpieces that are created using everything from telephones and cheese graters to plastic pink flamingos. 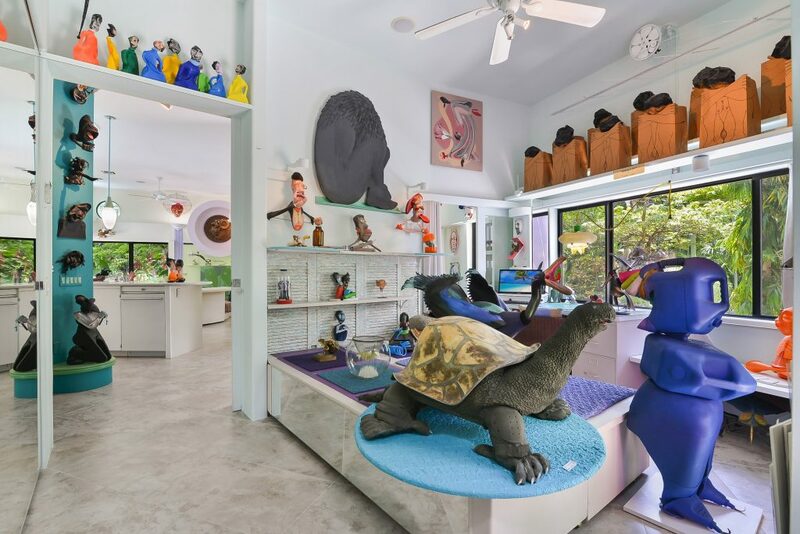 The $1.2 million (940,000GBP) pricetag will not only get buyers two bedrooms and two bathrooms, but also all of the art on display, inside and out. That’s more than 400 unique pieces, according to listing agent Virginia Hornaday, the listing agent for ONE Sotheby’s International Realty. 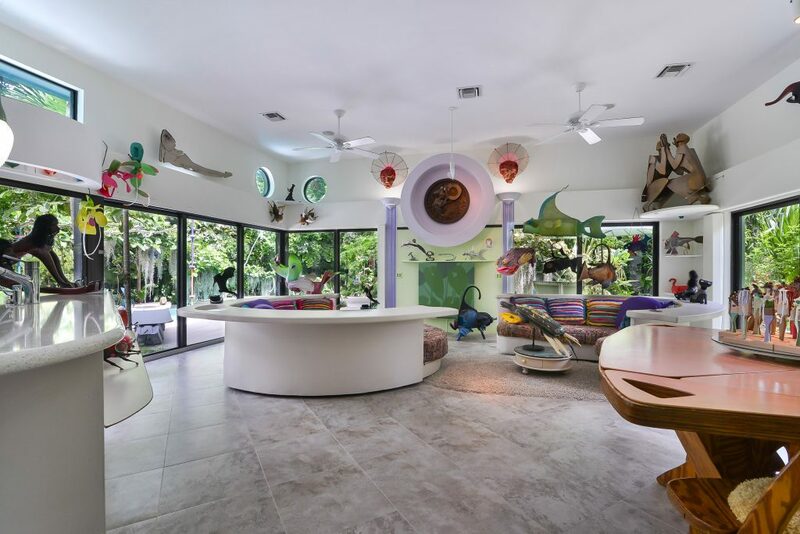 Built in 1957, the home is located in Fort Lauderdale, Florida, USA, and its clean lines and open plan flood it with light from the outside. 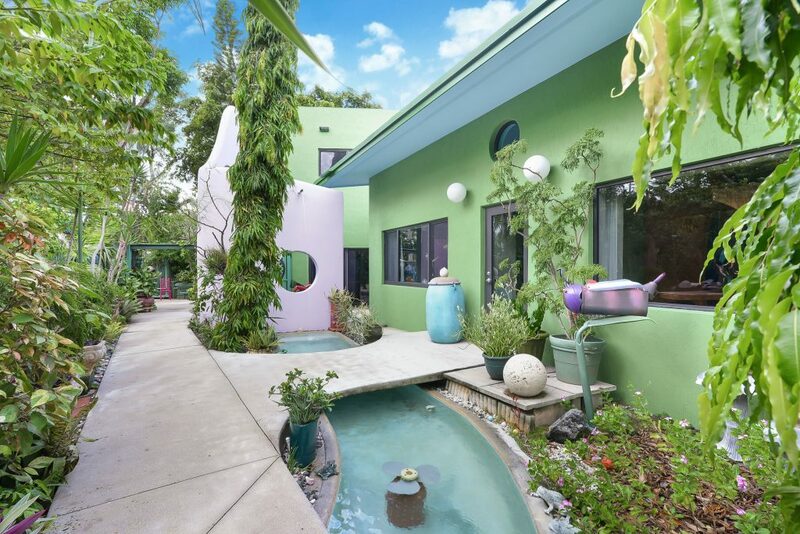 It is currently owned by artist Michael Jude Russo, who completed his own remodelling of the home in 2009. 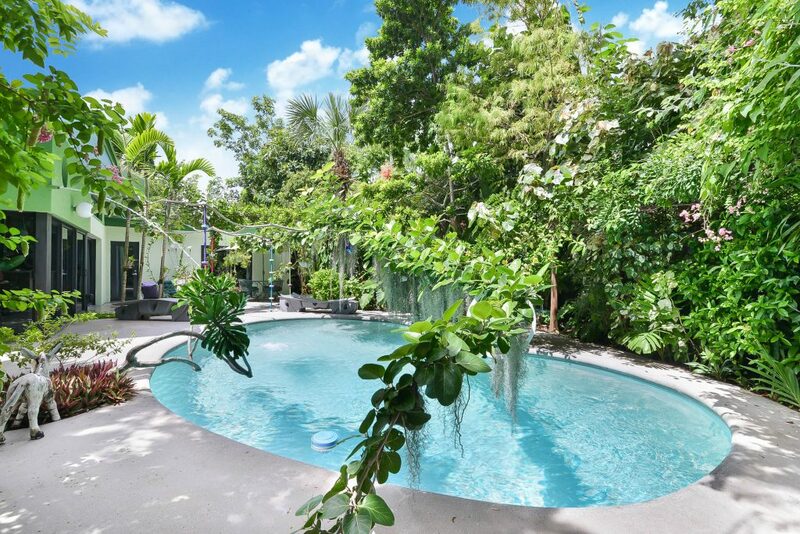 The property sits on a more-than-10,000-square-foot lot and its garden contains an array of exotic and indigenous plants. Michael said: “The collection of mixed-media upcycle art in the home is an evolved and ongoing body of work created over many years. “It is a record of my interaction with objects, materials, society, and all the other impressions thrown at me in my daily life. “All of these elements form my “art supply inventory” and are meditatively combined. “I’ve always been creatively driven to discover alternate values and applications for just about everything. “Many of the works contain new, used, and re-evaluated ‘useless’ items. Virginia added: “Over 400 pieces of art and sculpture are meticulously inventoried and displayed throughout the house. “The seller would sell the art separate of the home in one lot to a collector but not the opposite unless the art sells first.